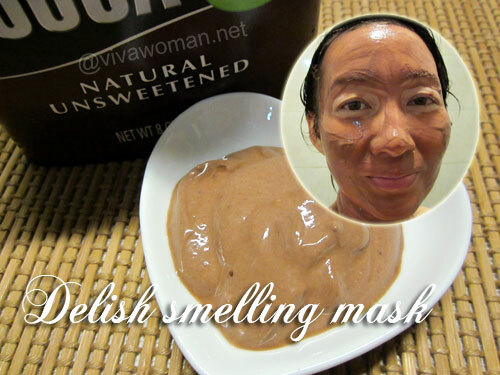 How about trying out an anti-wrinkle homemade mask that can brighten your face, tighten your pores, and moisturize your skin? It’s easy to make, cost you less than S$2 and you will even have more than enough to use it on your neck and all over your body. And if you like citrus smell, this one is definitely right up your alley too! 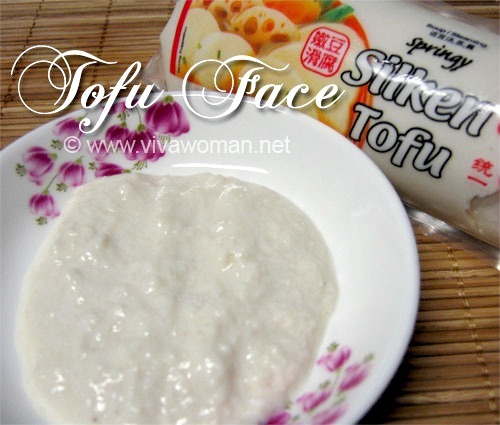 I found this homemade beauty recipe in a Chinese book and it looks simple enough to attempt. 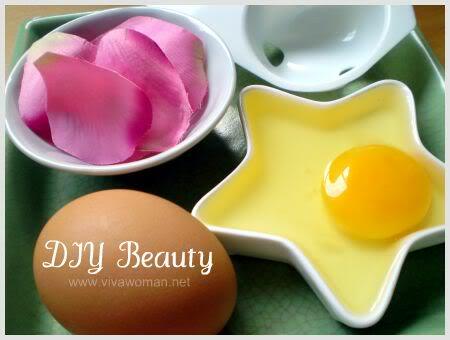 While eggs are great ingredients in homemade beauty remedies, I don’t use them as much. If you know raw eggs, you know the smell isn’t exactly THAT appealing. But smell aside, I do like what eggs do to my skin. The proteins in the egg white in particular are great to tone and firm the skin; helping to reduce the appearance of pores on the skin and giving us smoother looking skin, even though it’s temporary. Besides acting as temporary face lift, eggs are also great for cleansing purposes and can draw quite a lot of impurities if you use it as a mask. Mix all the ingredients well together. After cleansing your face, spread this mix on your face and neck. Leave on for 10 to 15 minutes until it dries. Rinse with lukewarm water. Follow with your favorite facial products. This face mask is not suitable for sensitive skin. If you are acne-prone, do note that egg white can draw out impurities real quickly so use this with care. Most other skin types would benefit from using this because the olive oil moisturizes skin while the lemon and salt lightens and brightens. Besides experiencing a temporary facelift, my skin tone was brightened and face felt pretty well moisturized. For those who dislike the oily residue from the olive oil, you may choose to reduce the amount of oil used. Thanks EcoBeauty 🙂 Though I have oily scalp and hair, not sure if this will be suitable. I might ask my mom to try the egg york mask (and egg white for me LOL!! 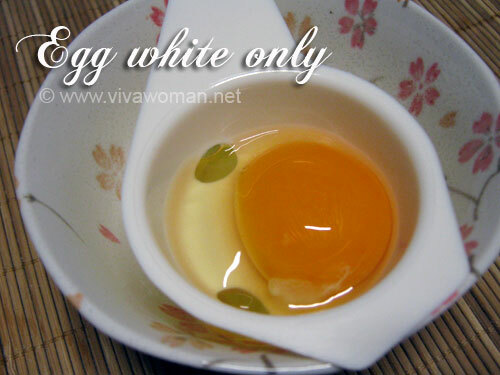 ), coz her skin a bit mature and dry, and she did not have good experience with using egg white. 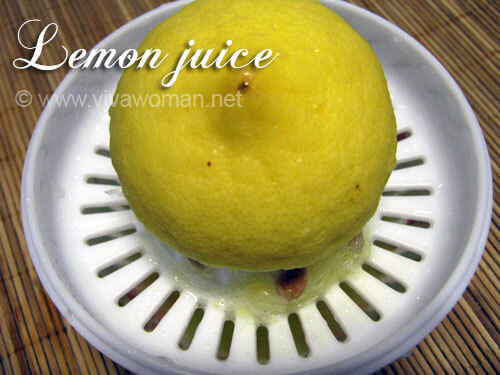 I usually feel stinging even using just a little lemon skin but surprisingly, no sting using this. I was expecting it to. I guess the egg white and olive oil sort of “cushioned” the stinging effect. but it will sting if there is a cut in the skin. As for the egg, EcoBeauty has presented a good solution. Anyway, you can also use egg yolk with honey and olive oil or egg york with honey and yogurt – good masks for dry skin. Haha…the egg yolk can be used to make French toast! Yummy! Egg white is great for skin. 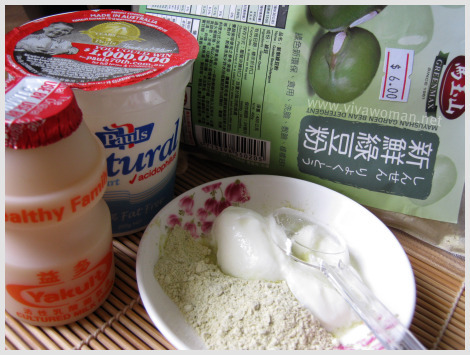 I usually make mask with egg white and honey for face. And egg yolk with olive oil is traditional mask for hair where I am from. So, one egg solves two problems. Oh interesting about eh hair recipe. I’ve never tried egg york on my hair…not sure if it’ll work for mine, which is limp and oily. 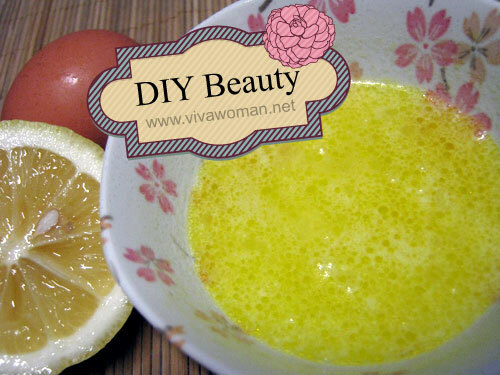 Egg white, honey and lemon also make a nice combi for mask!^^ This can treat freckles, wrinkles and acnes. I remembered I read somewhere. I suppose those that don’t like an oily residue can swap the olive oil for a lighter oil like jojoba or grapeseed too. That’s a good idea – the lighter oils will not be so heavy. Okay that kind of explains why my egg mask from some time ago, tightened my face and left it with red, angry rashes. 😀 😛 Furthermore, I felt like my face had been sucked dry. Hmmm, had a good look at the A’kin serum today: not too bad and I’ve a feeling 1 to 2 drops would be more than enough as it seems very rich. Good reviews seem to abound for this product and it seems A’kin is a very established brand. I also tested the John Masters bearberry serum but somehow, even though that seemed to be a very established brand, I couldn’t find many in-depth reviews which actually discussed about any potential side effects for this item. I was told the JM range was very popular, though. 🙂 Btw, many reviews pointed out that this only controlled oil but did nothing else. Someone even said it dried out her face(eeks!) but that was to be expected, since Salix Nigra is Salicylic Acid. In the end, I left Bud empty handed while my friend walked away with something… lol. I never bought the top recommendation ‘cos it had no preservatives and was wayyy too big a jar to finish within 3 months(some NeoBio cotton night cream). It was quite an interesting store, btw. Did you leave it on for very long? I found that the egg white can’t be left too long or it’ll draw out much more than you desire. John Masters seems to be better known for their hair products as their face products is not exactly popular from some of the reviews I’ve read. But I did like what I was using from their range before. Errrr… I must have left it on for more than 20 minutes or so! Ahhh, good thing I didn’t get it right on that spot and looked up reviews on my hp. Hair products, huh? Do you check out reviews on Makeupalley.com? I usually look up my reviews there for products I want to buy…at least there are many users so you get balanced views. Oh aloe is too moisturizing for your skin? I find using aloe a bit drying for mine…not enough but in a formulation with aloe, it usually works nice for me. Well, you’re right. I previously only looked up a few places and had trouble finding good reviews for natural/organic products. Now though, I do look at MUA but also do check out Beautyheaven and MyPurist and a few other sites including Drugstore, Amazon and so on. Well basically, Google is my friend. 🙂 Though sadly, there isn’t any review site equivalent to MUA, for natural/organic products. Or perhaps I haven’t found it yet. If egg white alone, it dries up pretty quickly. With this recipe, it took a while longer though. Eggs are fantastic to remove wrinkles and tighten skin but whenever I eat eggs, I forget to put it on the face and I do prefer eating them as opposed to applying on skin and then, I love them for my hair. Can Salt be used by young girls for there face masks? And whats the review of L’Oreal Hydra-Fresh Aqua gel for Combination skin? Using salt once a while is okay but not too often…salt is abrasive and also can be drying. Can this be used daily? Use it like 2 – 3 times a week. can left over be refrigerated and used the next day? Yes, but I would recommend using it fresh. Thanks for sharing your thoughts on anti-wrinkle mask.